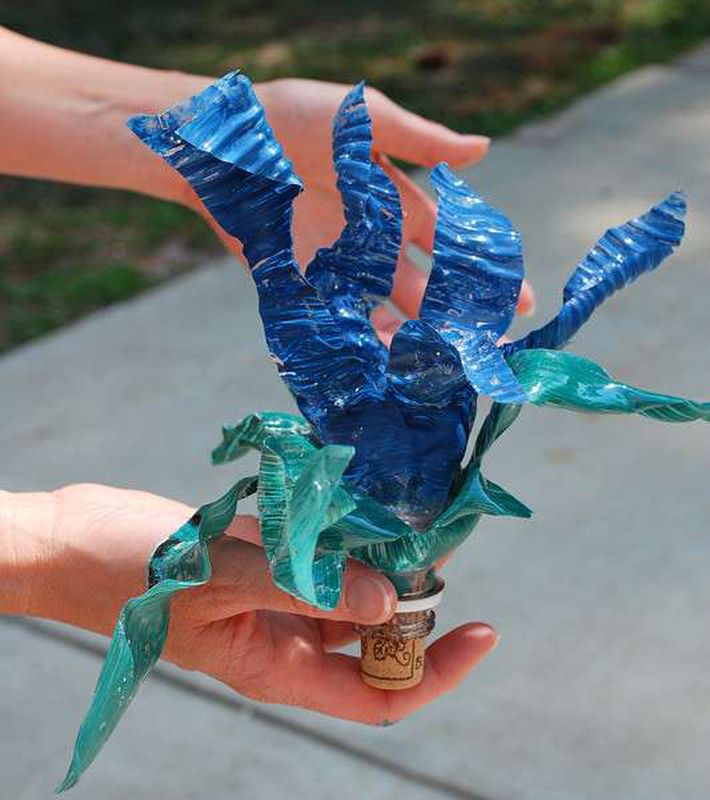 Imagine turning a plastic water bottle into a colorful flower. Better yet, turning a bunch of water bottles into a bouquet of blossoms! 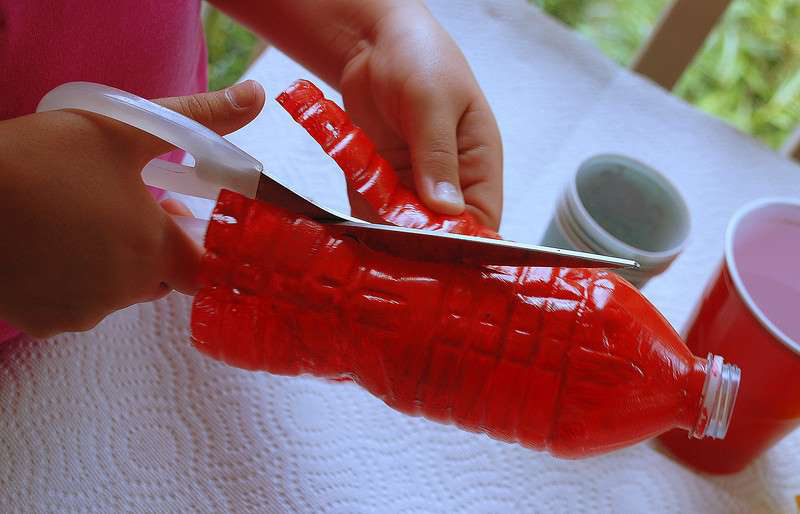 Nope, it’s not magic, just a fun craft project, perfect for a summer day. The idea comes from a public art project going on this summer at ­Annmarie Sculpture Garden & Arts Center in Southern Maryland. Artist Dale Wayne says the goal of her project, called “Dancing on Joy’s Horizon,” is to create a forest of trees made from bottles. Why? Because Wayne says that part of her work is about transforming trash into art. She also puts a twist to an African tradition of hanging colorful bottles in trees to capture evil spirits. 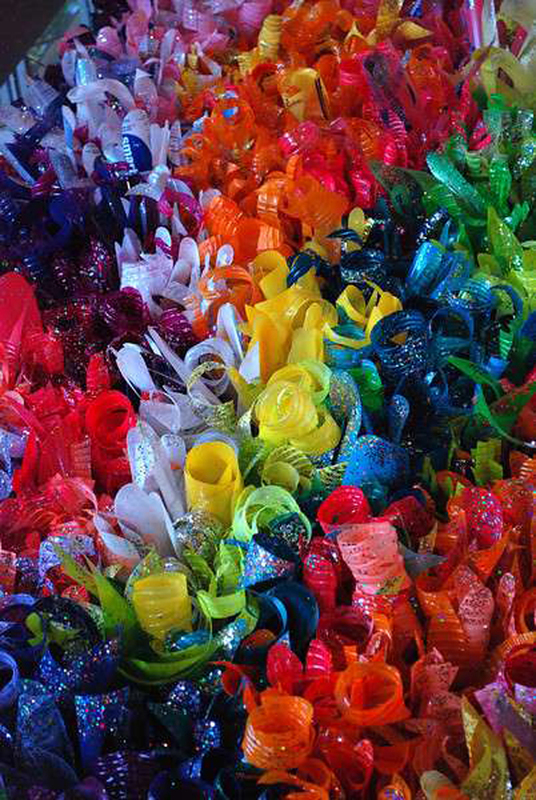 In her view, decorated, cut, plastic-bottle blossoms symbolize a peaceful place where all spirits are free. Dale Wayne was inspired by another artist, Dale Chihuly. ancient art starts with melting sand at very high temperatures. A blob of molten glass is placed on the end of a four-foot-long rod that’s something like a huge metal straw. The artist inflates the blob by blowing through the straw and uses a variety of techniques and tools to shape the glass into the final object. Chihuly’s series of glass pieces called “Mille Fiori” (pronounced “mil-uh-fee-ohr-ee,” it’s Italian for “a thousand flowers”) gives viewers a sense of being in the middle of a garden of glorious blossoms. Dale Wayne also works in glass, but she wanted to share Chihuly’s nature-oriented ideas using materials that are easier and safer for kids to handle. “I love how movement brings things to life: the wind catching a swirl of plastic, making it flutter; the sunlight dancing along a trail of glitter, creating a mini light show,” she said. Scissors, glitter, acrylic paint, a paintbrush and white craft glue that dries clear. 1. Cover your work area with newspaper to keep it clean. 2. Cut the bottom off the plastic bottle about an inch up. (Squeeze the lower part of the bottle to make cutting easier.) Save the bottom; it makes a perfect paint holder! 3. Add a few drops of water if the paint you are using is thick; doing so will make it easier to spread. 4. Decide what kind of flower you want to make. 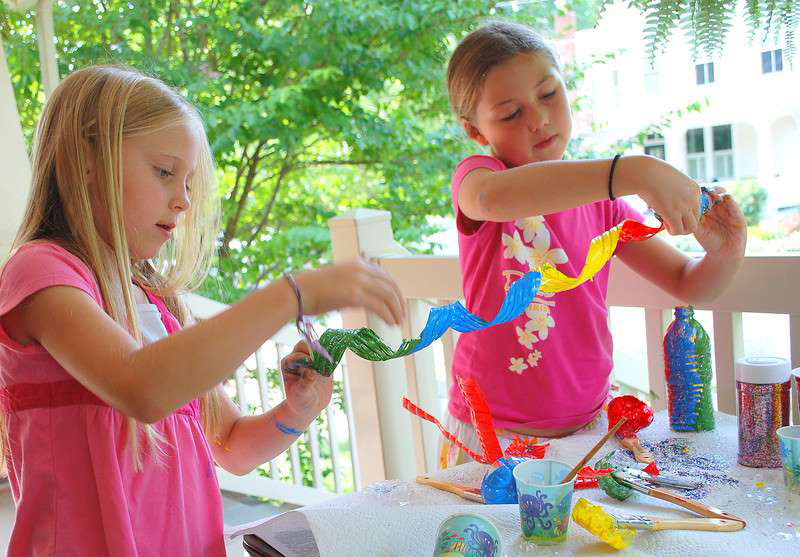 Jessica Robbert and Maile Organek, pictured above, both 8, made some flowers with petals and some with spirals. 5. Apply the finishing touches. Your blossoms can be used for decorations individually or in bunches. Attach one to a cork and you have a cute bottle stopper. Or tie several blossoms together with wire to make a mobile.